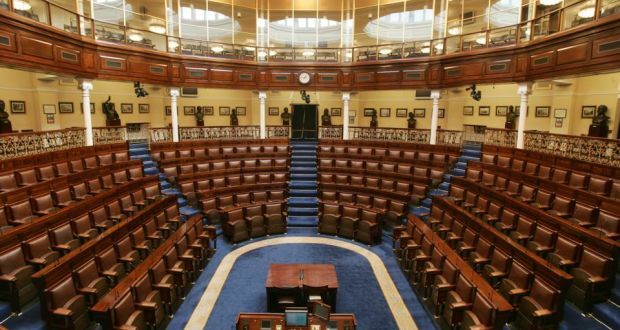 Most political parties and many independent candidates have laid out reform proposals in their manifestos and on their websites. We hope you will find this short summary* of party/candidate positions of some use when considering the strength of their commitments to tackling corruption and promoting democratic accountability. The table above indicates how many commitments each party/grouping made under the relevant headings. You might also be interested in John Devitt's analysis of corruption as an election issue in 2016. 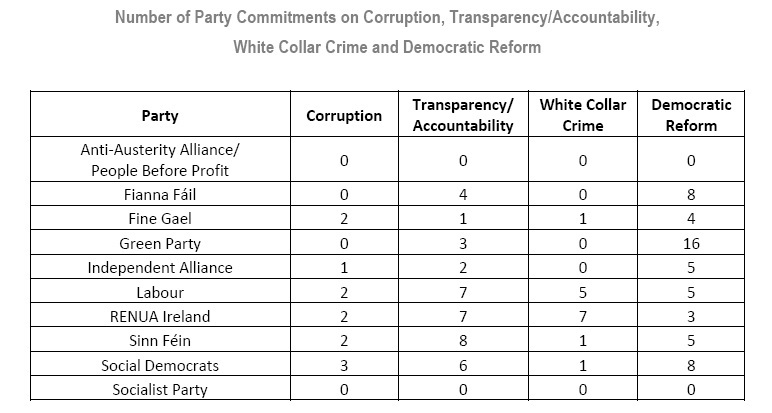 *Correction - Only 2 Social Democrats commitments to Transparency/Public Sector Accountability were listed in an earlier version of the table above. This should have read 6 as outlined in the attached summary. Apologies for the error.